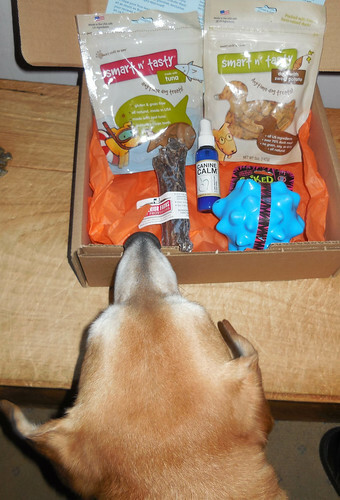 A big paws up and thank you to everyone who entered to win a Bugsy's Box last week! The winner is... Lara Elizabeth! Congratulations to you and your dog(s)! We just need your snail mail address, so get in touch soon! If you didn't win the box, you can still take advantage of a great offer! Save $10 off your first Bugsy's Box with the coupon code LAPDOG at checkout! Stay tuned for more woofilicous reviews and giveaways! Today is the last day to enter to win one of 10 Hill's Prescription Diet Metabolic Advanced Weight Solutions kit (your choice - dog or cat)! Hip hip hooray! We love subscription boxes at my house and are so excited to receive a Bugsy's box! My email is doggess76 at yahoo. Congratulations! We know that will make someone very happy.